The best way to learn about Cisco networking is to have your own lab. However, that is hard to do (costly, takes up space, and time-consuming). 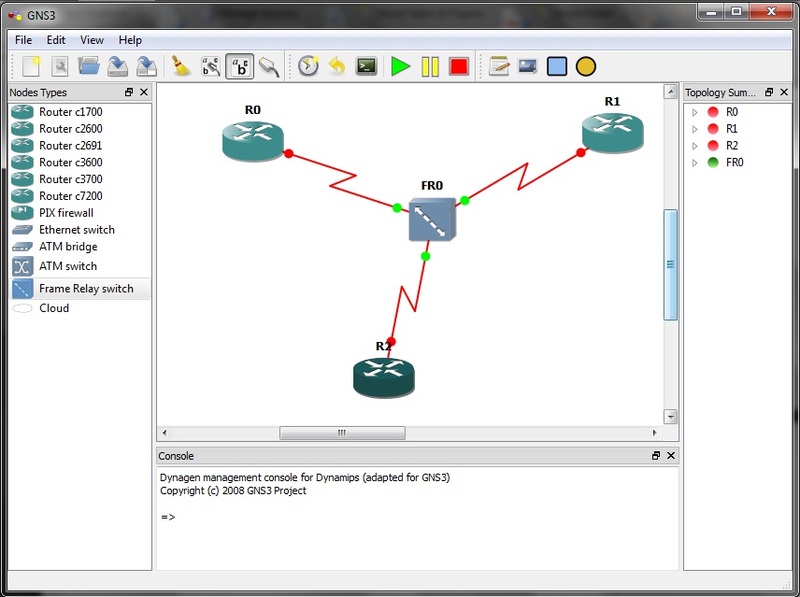 The best way to do this is to have a virtual Cisco lab using GNS3. This is easy to do with proper instruction. Fortunately, Train Signal Training recently posted a great new article on this topic. Cloud computing means “everything” but also means “nothing”. It is overused and too general. Still, there must be some cloud computing that “real people” are using in the “real world”, right? Yes, there are. I recently ran across an article from PC Magazine that covers 13 cool cloud computing services such as Dropbox, Microsoft Office Live, DimDim, Skype 2.0, LogMeIn, Salesforce, Google Apps, and others. This is a great article that covers these various “cloud” services and how they are used in the real world. 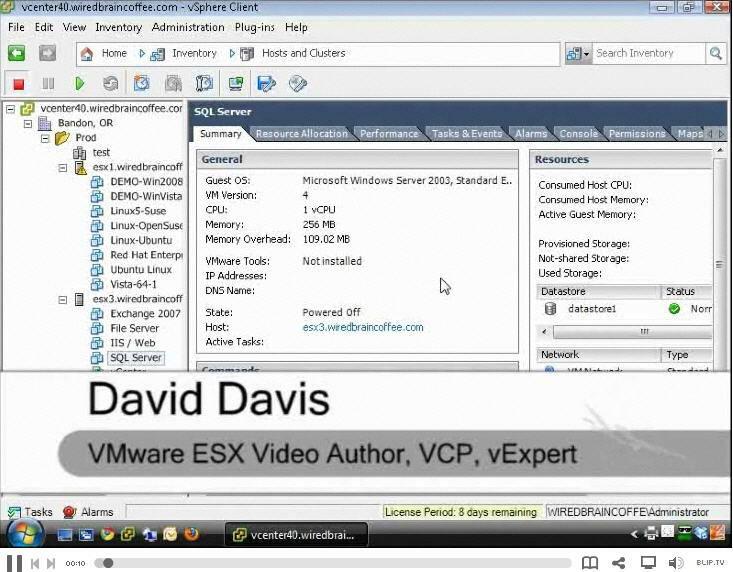 Xangati recently released a VMware vSphere appliance that provides “video-like” visibility to your virtual network. Offered with a 14-day free trial, this appliance is able to view all traffic crossing your virtual network and allow you to monitor that traffic through sleek interface. Similar to a DVR that you would use to pause and rewind your TV shows, Xangati for ESX is able to offer the same “rewind feature” for your VMware infrastructure. 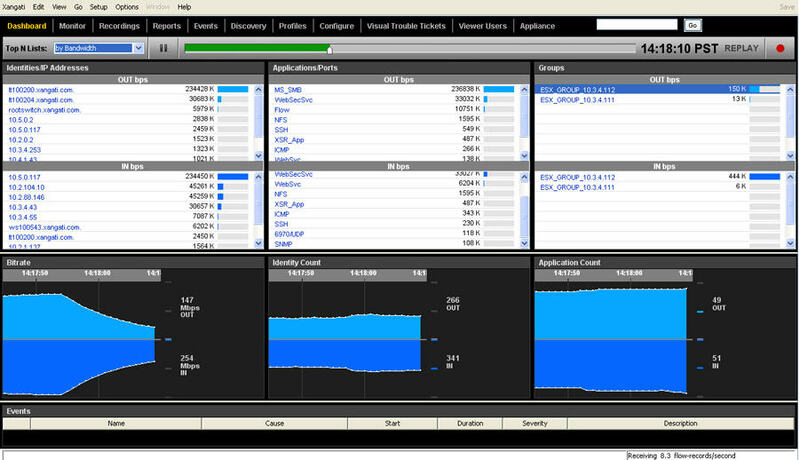 The appliance understands the network traffic at the appliance level and shows you what VMs are talking to what. I believe that with Xangati for ESX and the visibility it provides, you can save a lot of time managing your virtual infrastructure network issues. Download the free 14 days Xangati for ESX here. Monitoring the performance of your virtual infrastructure can be challenging. 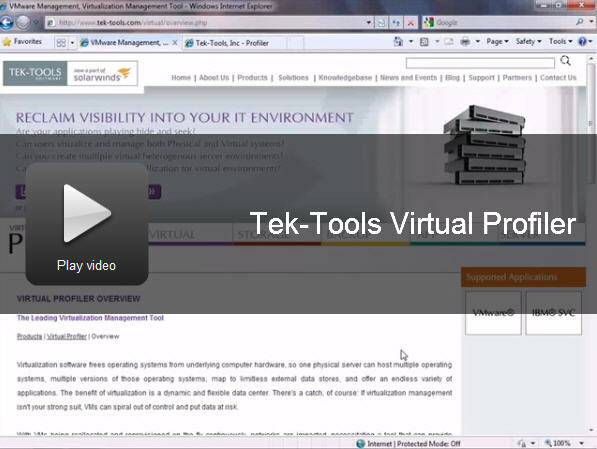 In my new video, I cover the Tek-Tools Virtual Profiler (a free tool). How do you know what’s going on in your vSphere virtual infrastructure? If you don’t have the vSphere Client open all the time and if you aren’t checking the latest events in that client, you won’t know who has been doing what. Fortunately, Nick Weaver has created a super-cool tool called the vSphere mini-monitor that will notify you, through various methods, exactly what is happening. For example, you can get a windows system-tray alert, a Twitter Tweet could be sent, a RSS feed entry could be made, or an email could be sent. Amazing right? 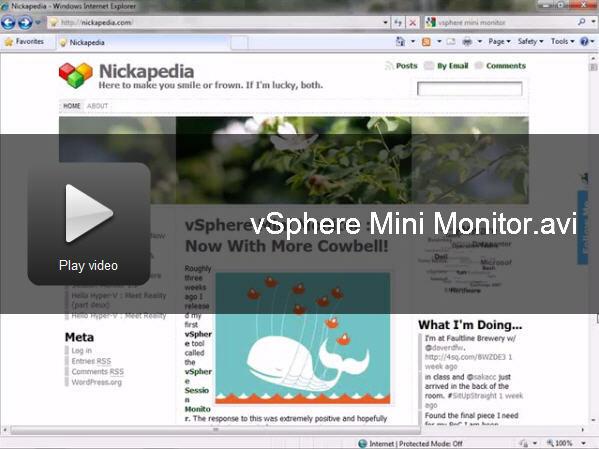 Watch my new video covering where you find, how you install, and how to configure the new vSphere Mini-Monitor! 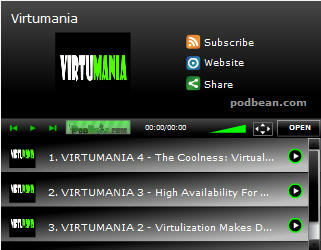 Rich Brambley (@RBrambley) and crew from the new Virtuamania podcast are both educational and entertaining! This new podcast covers everything that you need to know about virtualization, storage, and servers. Rich has a real talent for making this stuff COOL and FUN, all at the same time (something not easy to do). Listen to the Virtumania Podcast here! Cloud Computing is “all the buzz” lately but what is it really? Who should you get it from? How can it help you? Over at the Petri IT Knowledgebase they have a new section devoted to cloud computing knowledge with focus on Microsoft’s cloud computing solution – Azure.